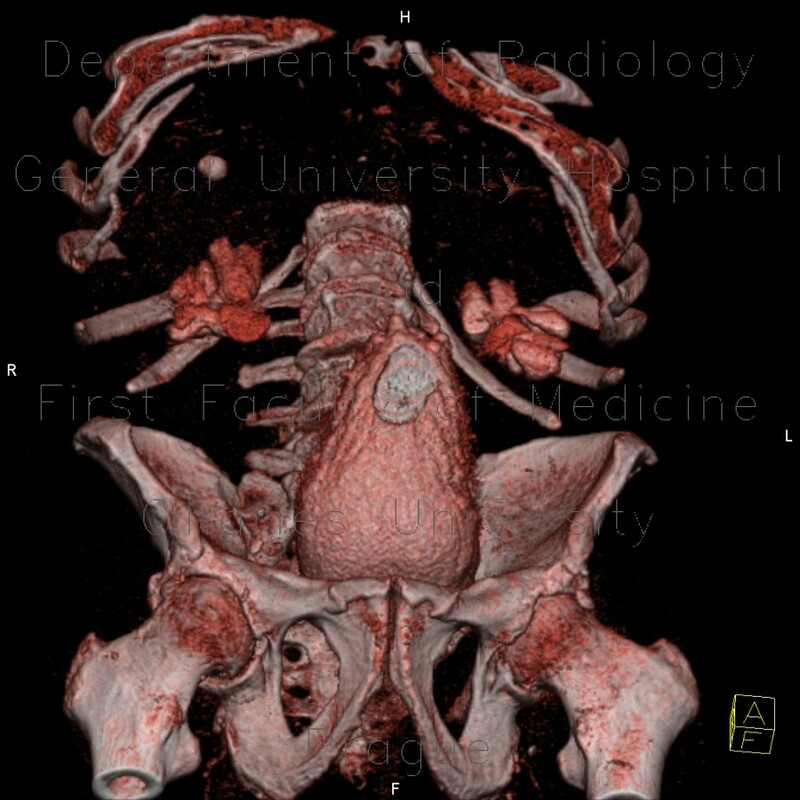 CT shows a marked thickening of bladder wall. A balloon of Foley catheter can be seen in the lumen. Both ureters and pelvicocalyceal systems are dilated as well, together with mild reduction of parenchymal thickness of both kidneys. With distention of the bladder with contrast, multiple pseudodiverticula appeared in its wall. Note also, that tolerated volume was quite high.